Netflix might be ahead of Amazon Prime Video in the TV stakes but there’s no comparison when it comes to found footage horror – the love it or hate it genre. The news that Amazon Prime Video outpaced Netflix last year as the UK’s fastest growing video-on-demand service is no surprise to fans of found footage horror films. 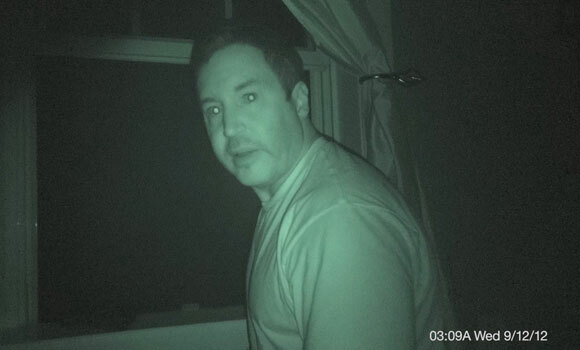 While Amazon Prime Video has struggled to match Netflix for original TV shows and is playing catch-up in the original movie stakes, Prime Video has discovered a successful niche streaming some of the better post-Paranormal Activity POV horror films. While the “marmite” genre still produces plenty of trash – the result of anyone with a smartphone being able to attempt their own haunted house movie – found footage horror films have a devoted group of supporters for good reason. While The Blair Witch Project may not have been the first to exploit the genre, it remains the king of found footage and the grandfather of so many good, bad and ugly descendants since. Thankfully, while the good might not outweigh the bad, the enjoyment to be had in the found footage horror films that work makes fans thankful directors Eduardo Sánchez and Daniel Myrick got lost in the woods with the Blair Witch. Netflix is huge. There aren’t many who could challenge its market share with any real ambition to dominate. But if anyone can, it’s Amazon. Last year in the UK, Amazon Prime Video saw a 41% rise in year-on-year subscribers with TV series like The Grand Tour and Transparent, along with one-day delivery perks for its shopping customers, proving to be an attractive option. Richard Broughton, an analyst at Ampere, said Amazon’s upcoming original content like Lord of the Rings and the rights to stream ATP Tennis were other factors giving Amazon Prime Video the chance to really challenge Netflix’s command of the video-on-demand market. Why Amazon Prime Video is Perfect for Fans of Found Footage Horror Films? The simple answer is: because it has an abundance of great found footage horror films for viewers to enjoy. The anonymous filmmaker behind The Phoenix Tapes ’97 and The Blackwell Ghost has gone to great effort to maintain secrecy to enhance the sense of realism found footage aims to deliver but deserves to be celebrated for his work on these two worthy efforts. Both are available on Amazon Prime Video with The Phoenix Tapes ’97 proving to be a perfect companion piece to Phoenix Forgotten which is also available on Amazon’s on-demand service. For those wanting more found footage horror thrills, look no further than John Criss’ Leaving D.C., which features a guy sending video diaries to his OCD help group as his new house is terrorised by strange occurrences in the woods outside. Things go bump in the night in Bad Ben. Similar in set-up is Nigel Bach’s Bad Ben which sees a man, possibly facing a mid-life crisis, move into a new house he intends to flip only to find his temporary home riddled with paranormal activity. What makes Bad Ben stand out is the protagonist’s ambivalent response to the ghost and the film’s fine balance between protagonist and antagonist and where our sympathies lie. Admittedly, Cold Ground has a great poster. Less successful but equally attractive to found footage horror film fans is Cold Ground. Dubbed Blair Witch meets The Descent, the film feels more like a knock-off with little in the way of invention. Still, genre fanatics will draw mileage from the spirited performances of the cast – particularly Gala Besson. However, topping the list of the best found footage horror films currently streaming on Amazon Prime Video is Hell House LLC. An inspired entry in the genre, this film about a bunch of immersive theatre producers having a run-in with evil spirits when setting up a haunted house attraction has everything you want from these types of movies: genuine scares, authentic reasons for filming, actors that can act, and a bit of originality. The film even manages socio-political subtext! Yes, there’s a lot of trash on the video-on-demand service and you’re advised to avoid the like of Muirhouse, Dark Flower, Interior and the truly appalling The Bell Witch Haunting, all films designed, it seems, to feed the genre’s reputation for bottom-feeding. But when found footage horror films get it right, they’re capable of producing some of the overarching genre’s best films like Rec, Troll Hunter, Paranormal Activity, Lake Mungo, Creep, Cannibal Holocaust, The Last Exorcism and, of course, The Blair Witch Project. The films recommended here are currently available on Amazon Prime Video in the UK. What’s New On Netflix In UAE This Month?